Alex’s experience includes the defense of general liability, construction, real estate, and product liability matters. Recently, she successfully argued and obtained summary judgment representing a real estate company against allegations of misrepresentation and c. 93A. 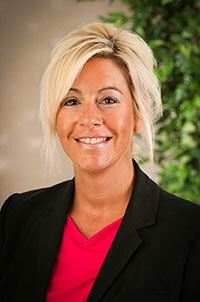 Alex also represents and counsels national fast-food chain restaurants and product manufacturers. In her recent representation of an out of state packaging company, Alex secured a dismissal in Federal Court based upon lack of personal jurisdiction. Prior to joining the firm, Alex served as a Law Clerk to the Justices of the Massachusetts Superior Court and worked as an Assistant District Attorney in the Middlesex County District Attorney’s Office for four years. When away from the office, Alex enjoys spending time with her husband and son. Alex is the originator and coordinator of the firm’s partnership with the Middlesex District Attorney’s Pro Bono Program against Domestic Violence. Resort Hotel Association's Annual Conference. Recognition from the Criminal Investigations Division of the City of Lowell. Recognition from the Town of Wilmington for efforts in prosecution of narcotics. Drug Enforcement Administration's Recognition for Outstanding Contributions in the Field of Drug Law Enforcement.